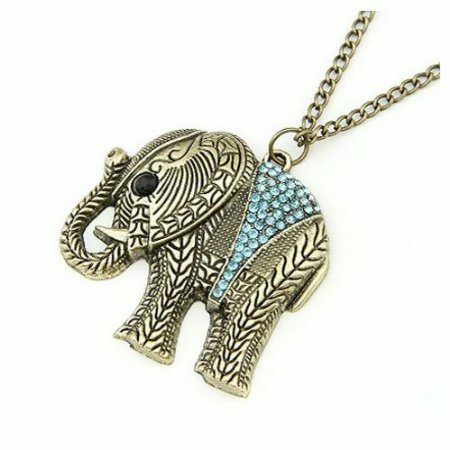 Elephant with Crystal Accents Necklace Just $1.69 Shipped! You are here: Home / Great Deals / Elephant with Crystal Accents Necklace Just $1.69 Shipped! There is something about this necklace that I really like! Get this Elephant with Crystal Accents Necklace for just $1.69 shipped on Amazon. You can choose from blue crystals or red crystals.